If you are not using a text only template, color should be a priority in your emails. This includes both pictures and text. Color can make an ordinary email look stunning. Yet, it is often done in a simple way. Keep your color scheme for your graphics and text between 2-4 colors. This will allow your email to flow and look coordinated. 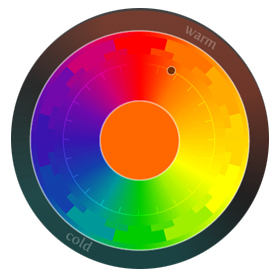 A great tool for visualizing color schemes is colorschemedesigner.com. The contrast of your text with images and backgrounds is crucial as well. You want your writing to pop and be clear. For this, you want to have a sharp contrast between dark and light. If you have a dark background, your text should be white. If you have a light background, your text should be black. Of course there is some room to alter the text colors, just maintain a clearly readable text. To get the best results when designing your email, design your email to have more text than images. Any text ratio over 60% is suggested. This not only helps deliverability, it will make creating your email to a specific color scheme easier. Want to know more or have us do it for you? Contact one of our email marketing experts toll free at 888-497-7898.